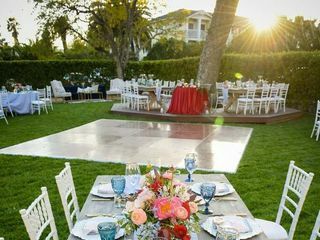 Located in of one of the most beautiful cities in the world, The Santa Barbara Club is an oasis of tranquility and a dynamic wedding location in the heart of downtown Santa Barbara. 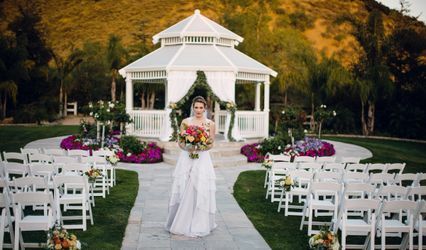 An American Riviera’s best kept secret, the vintage estate delivers privacy, a luxurious timeless setting and a romantic locale ideal for year round wedding ceremonies and garden surroundings. 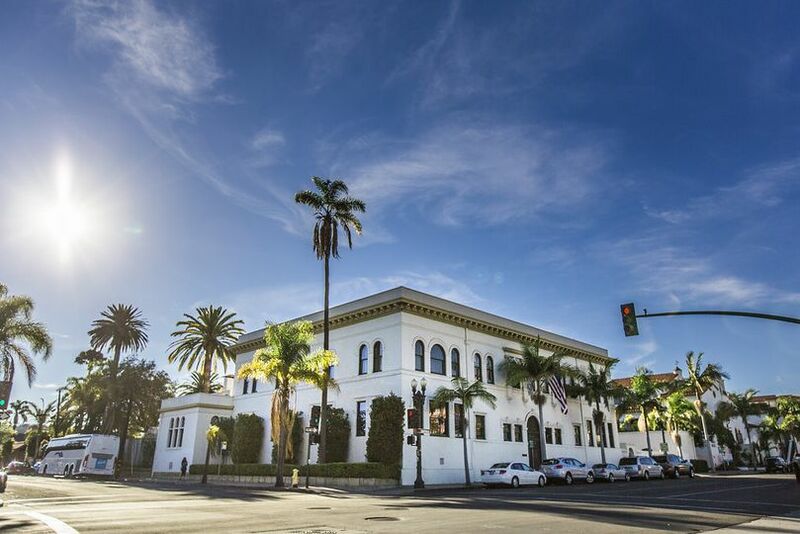 Serving Santa Barbara for over a century, the downtown location remains an iconic landmark for a memorable experience of world-class service and epicurean delights. 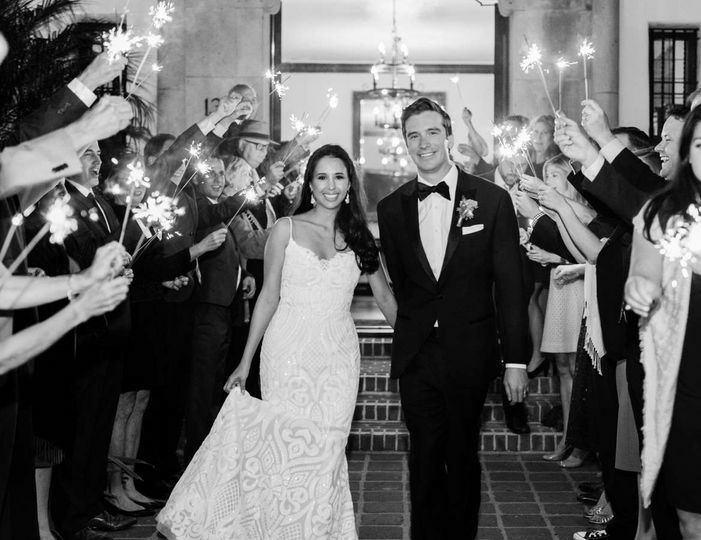 We just hosted our daughter's wedding at SBC this past September and we can thank Alejandra and Chef for making the wedding the most amazing time ever. Our guest were so impressed with the delicious food and at the beauty and old world charm that the SBC has. We loved every moment working with Alejandra. We would do it over again if we could and highly recommend SBC for any event. I have been in the wedding industry for 16+ years, so when it was time for me to plan my own wedding, I knew I would be picky. 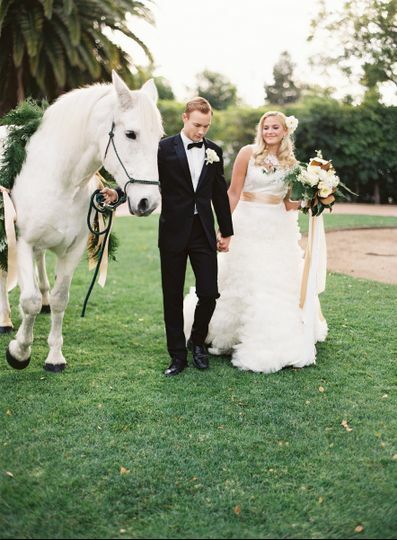 From the time I inquired with Julie to the finish of my event at Santa Barbara Club, I have been so impressed. Julie is a true professional who will guide you through what works well at the club while also keeping your own personal vision in mind. After the sales process, I was handed over to the extremely capable Alejandra. I do not know how to express the love I have for this woman. She made the planning process so seamless for me (planning it from San Diego). I knew that even the smallest of detail I handed to her would be taken care of. All of my requests and concerns were met with a "can do" attitude, and not once did she make me feel like I was bothering her. The night before the wedding I was introduced to Tina, the main banquet captain, who was going to be handling the flow for the day of. She was thorough and professional and they are so very lucky to have her. 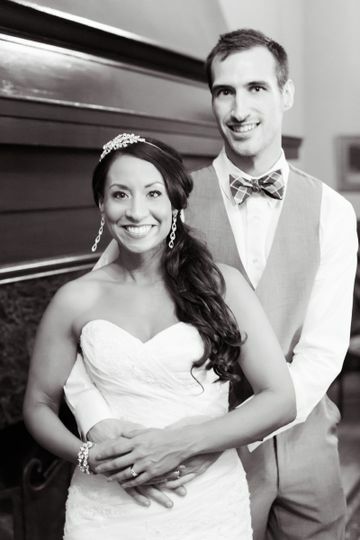 On the day of my wedding, it was magic!!! The venue was set exactly the way I asked and it was gorgeous. The food was amazing and everything I had hoped for. Food was so important to us as a couple and they delivered in spades on this! We had scallops and short ribs as entrees and WOW!! My guests are still talking about how they were able to do scallops for that many people, and cook them so perfectly. The staff was attentive, polished and so welcoming. I literally could write a novel about how perfect this venue is, but I hope you will head there and see for yourself. 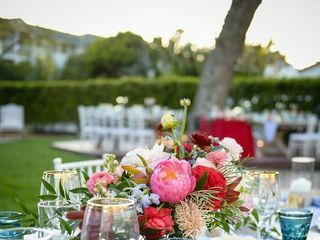 If you have even one doubt, know that this event professional would choose Santa Barbara Club over any venue any day of the week! I'm not sure there is enough time for me to say all the amazing things about the Santa Barbara Club. Alejandra and Julie were so helpful and amazing through the whole planning process. They responded promptly, accommodated all my ideas. They made everything happen. I had some unconventional food ideas and they totally killed it! I had things made that were not normally on their menu and their chef absolutely delivered!! The wait staff was so attentive and made sure me and hubby always had a drink in our hand and made sure we got apps during cocktail hour. It is definitely a hidden gem, not many people know about this venue but they should. Guys had a nice upstairs room with a pool table and couches and the girls were comfortable in a large old library with great lighting for makeup and photos! It is a beautiful space and a full service venue! 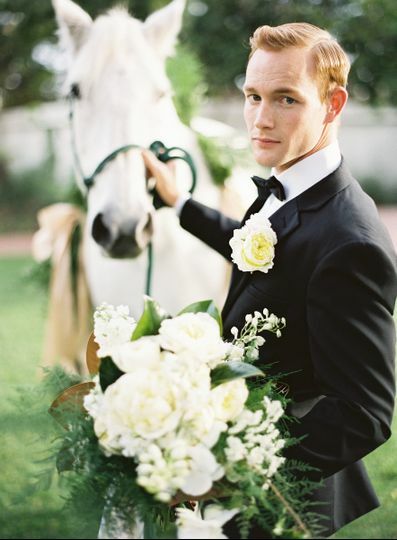 The Santa Barbara Club is a beautiful wedding venue! 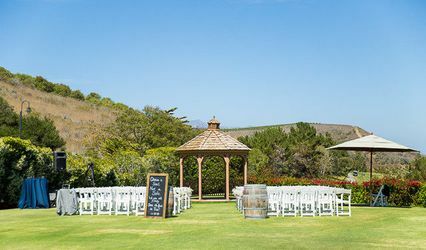 I had my wedding there in 2015 and guests are still talking about it! 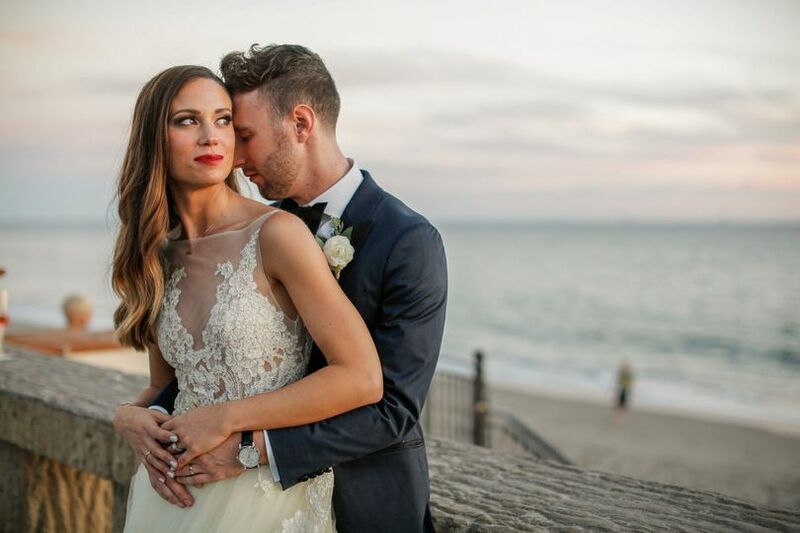 From the professional service of the staff who are so friendly and accommodating to the amazing food to the beautiful design of the indoor and outdoor space, we couldn&apos;t have made a better choice for our big day! Great location in downtown Santa Barbara makes it easy to get around and enjoy everything the city has to offer. 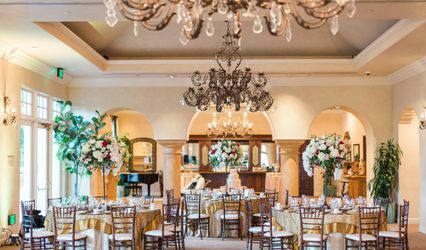 I highly recommend The SB Club and as a Wedding Planner, I refer many couples to them when they are looking for a venue that is classy, private and has a lot of character. It has something different to offer that everyone can enjoy. 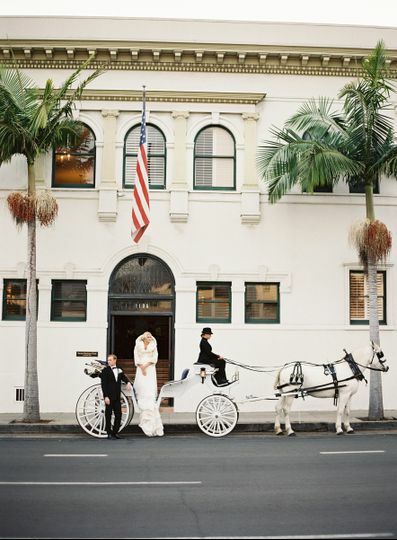 The Santa Barbara Club is an amazing venue right in downtown Santa Barbara with personality around every turn! 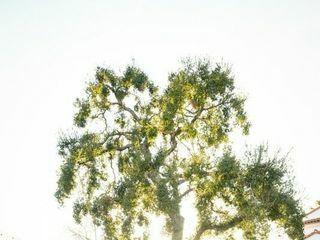 Not only is it beautiful with a true Santa Barbara feel - but they also have phenomenal food and beverage offerings! You will not be disappointed by the Santa Barbara Club!